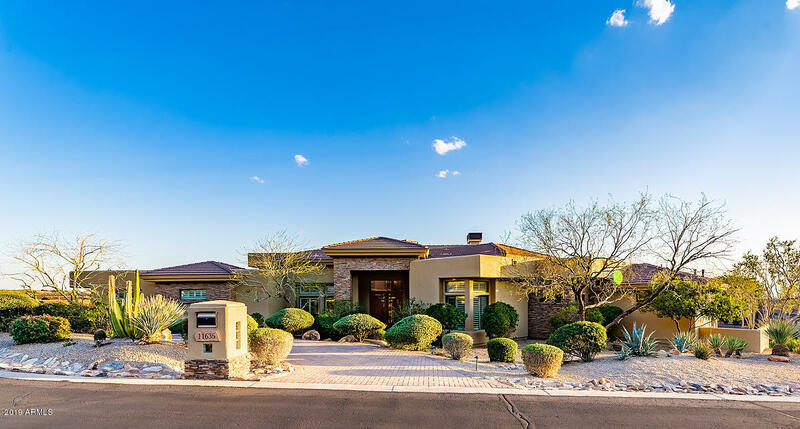 All ANCALA homes currently listed for sale in Scottsdale as of 04/23/2019 are shown below. You can change the search criteria at any time by pressing the 'Change Search' button below. 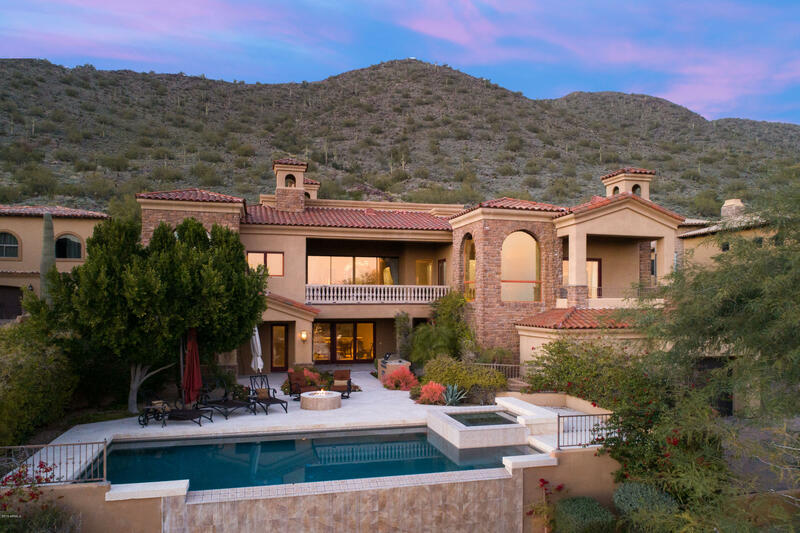 "This magnificent custom estate is nestled into the McDowell Mountains & strategically situated on one of the best view parcels in Ancala Country Club to capture endless views of sparkling city lights & Camelback Mtn from numerous vantage points throughout the property. Thoughtfully designed home w/6 bedrooms, 7 bathrooms, multiple flexible living spaces, exceptional feast of interesting elements & architectural details such as superior use of stone, wood, cantera & groin ceilings to complete eve"
"The views don't get much better than this! Perched at the top of the hill in Ancala Country Club sits a masterfully designed custom estate with incredible views of the valley, and city lights. Traditional & classic details in every inch of the home. Master Suite is located on the main living level, with enormous covered balconies, and 13' Arched windows framing the home. Upon entering the living room you are greeted with disappearing 9 ft sliding doors that open up to a large covered balcony to "
"An Authentic One of a Kind Tuscan Masterpiece. There a few homes that rival the quality of construction, the architectural features & impeccable details of this exquisite home. It truly is a work of art! It's enticing street appeal is magnetic. Upon entering you are immediately mesmerized by groin & honed sand blasted wood beam ceilings. The floor plan is ideal with stunning master suite with sitting room overlooks lush grounds. The master luxury bathroom is envious. A rich executive library of"
"Entertainers Delight! 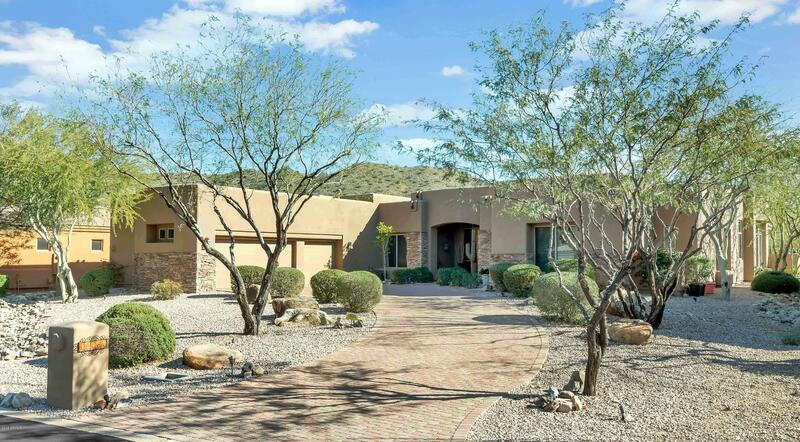 Exquisitely designed contemporary custom home with McDowell Mountain views. Extensive remodel which included the addition of a theater and private casita. Every appliance, cabinet, window, floor and surface of this Ancala home was improved with high-end finishes and attention to detail. The resort style backyard is the epitome of indoor-outdoor living with two telescoping glass doors which lead seamlessly to the sparkling pool, custom hot tub, fire pit, and putting green f"
"If you ask yourself ''What is my dream home in Scottsdale AZ? 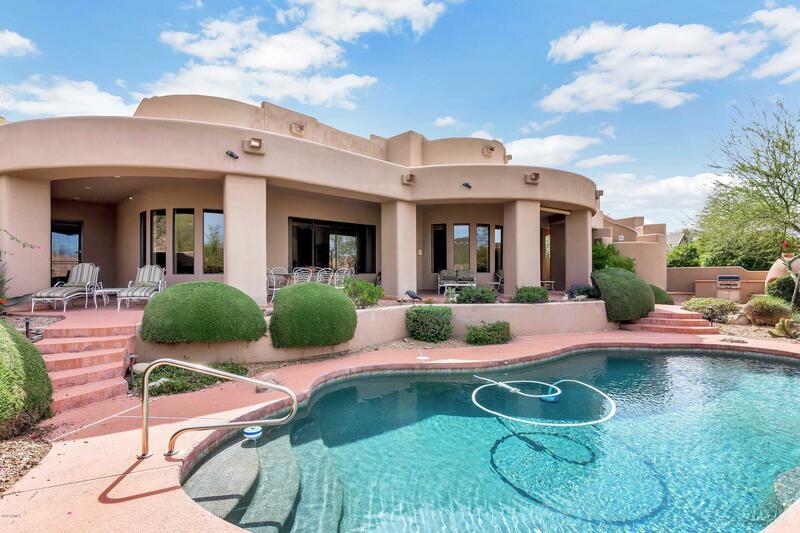 '', most likely your answer will include the following.... Amazing sunset views with Camelback Mountain in the foreground, overlooking a golf course with privacy, pool and spa, putting green with a modern design, in which the master suite has views that go on forever with it's own private balcony. If you agree this is your dream home. 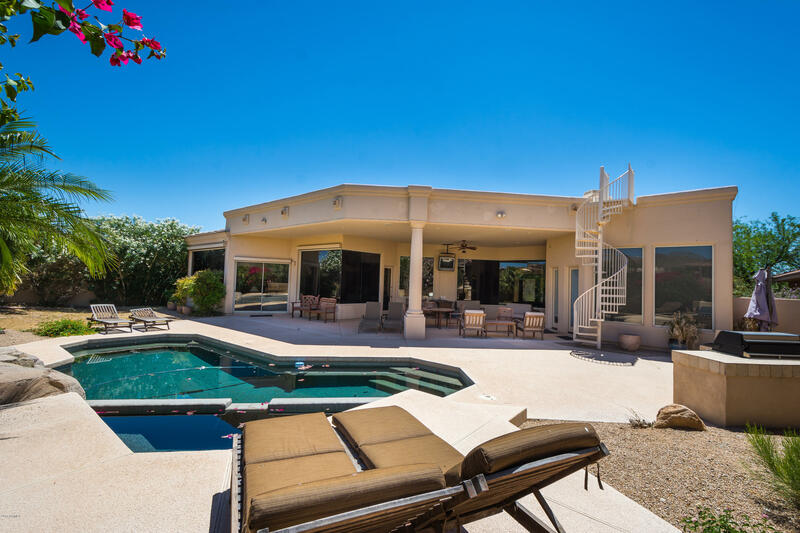 This recently updated home is an entertainers dream with a great room consisting of a living room, "
"THIS CUSTOM VIEW HOME HAS BEEN PAINSTAKINGLY DESIGNED TO SPOIL ALL OF THE FAMILY MEMBERS. THE VIEWS OF CAMELBACK, SUNSETS & CITY LIGHTS WERE A PRIORITY. THE ENTRY LEVEL BOASTS A FORMAL LIVING RM WITH VIEWS, FORMAL DINING RM, LIBRARY & MASTER SUITE. ASCEND 7 STEPS TO THE GOURMET KITCHEN THAT OPENS TO BREAKFAST & FAMILY ROOM WITH BREATHTAKING VIEWS. FROM THE MAIN FLOOR TAKE 6 STEPS DOWN TO THE DAYLIGHT BONUS RM WITH WET BAR, BUILT-IN DESKS & 3 LARGE EN-SUITE BEDRMS. 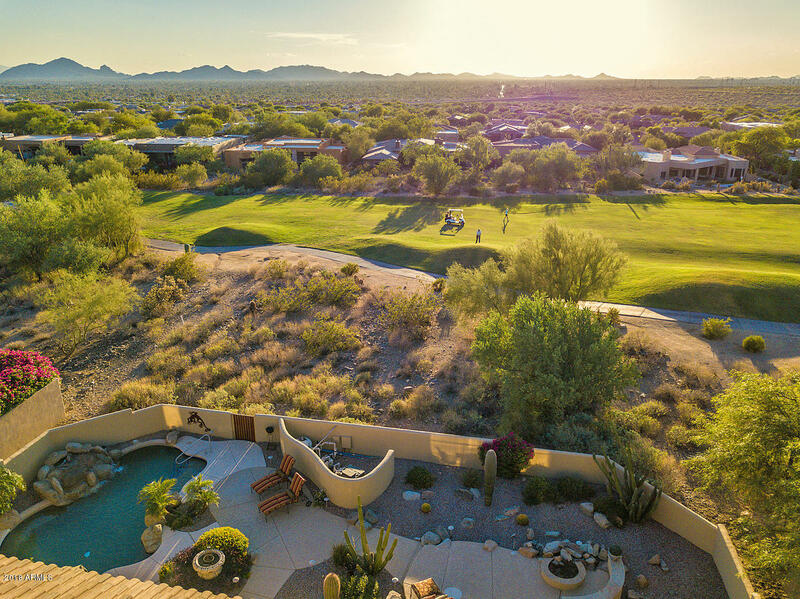 THE GROUNDS ARE DESIGNED FOR "
"Located on the 12th hole of the Ancala Golf Course, this one-of-a-kind property draws you in. 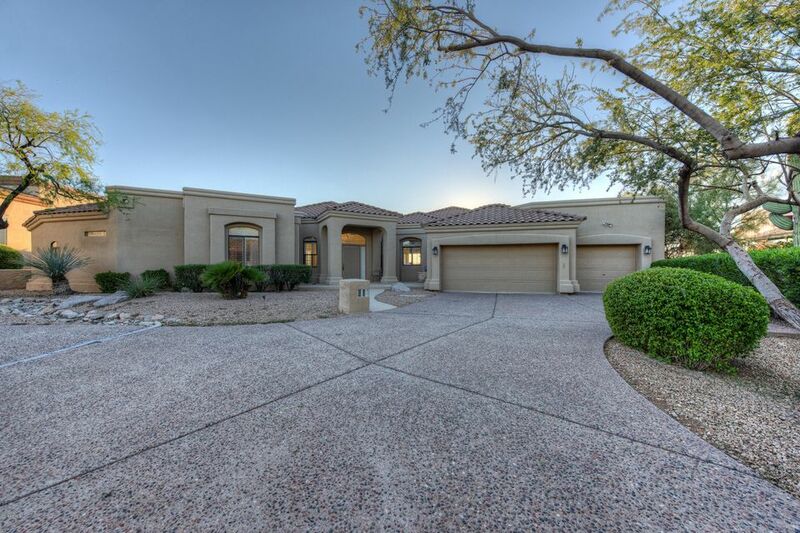 Offering incredible McDowell Mountain views and an open floor plan perfect for a family! Large Chef's Kitchen with stainless steel appliances, double ovens, 2 dishwashers and a 6-Burner Gas Stove. With 5 bedrooms, 4.5 bathrooms and 4,660 Sq Ft, you and your guests will never feel crammed in this home. Spacious Master bedroom overlooking your resort backyard with spa-like bathroom with double vanities. E"
"ANCALA LIVING AT ITS FINEST. THIS 4 BEDROOM/DEN PROPERTY OFFERS QUALITY LIVING BOTH INSIDE & OUT. 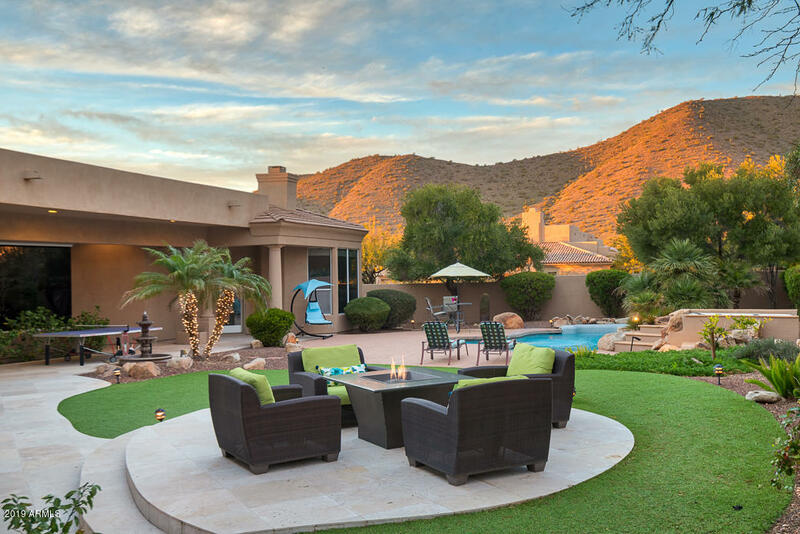 ENJOY ENTERTAINING IN YOUR PRIVATE BACKYARD RETREAT WITH STUNNING CAMELBACK MOUNTAIN & CITY LIGHT VIEWS & GORGEOUS ARIZONA SUNSETS. ALL BEDROOMS OFFER PRIVATE BATHROOMS & LARGE WALK-IN CLOSETS. OPEN FLOORPLAN OFFERS AMPLE SPACE FOR GATHERINGS & EVERYDAY LIVING. THE GOURMET KITCHEN INCLUDES WALK-IN PANTRY, STAINLESS APPLIANCES, GRANITE COUNTERS, BREAKFAST BAR FOR INFORMAL DINING, & FABULOUS DESK SPAC"
"Executive Contemporary Home on Premium Golf Course Lot on 16th Green. Golf Path is on the Opposite Side for PRIVACY. Great Street Appeal with Courtyard Entry to home. 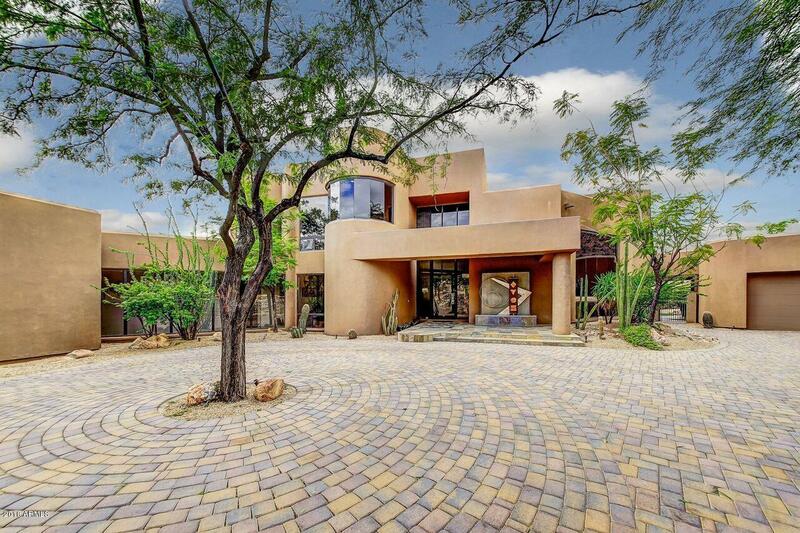 Dramatic floor to ceiling walls of glass as you enter, also in Family Room & Master Suite. Gourmet Cooks Kitchen is ideal for friends & family gatherings. Granite Countertops, gas cook top, Huge Walk-in Pantry, expansive Prep Island. It opens to Breakfast Room & Spacious Family Room with impressive floor to ceiling stone fireplace "
"Wonderful price improvement! Enjoy the Ancala lifestyle with golf, tennis, socializing FUN! Backing to the 9th golf tee offering breathtaking views of the golf course, flanked by the serenity of the mountains; this home is truly SPECTACULAR! Fabulous location close to the Club house. Enjoy the Expansive floor to ceiling windows allowing the serene views of the beautiful yard with pool, spa, huge covered patio and lounging areas. 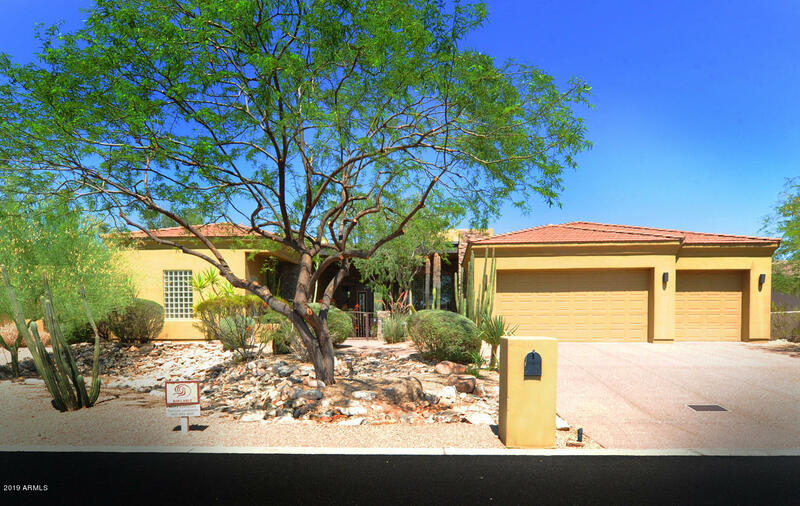 Large Chef's Kitchen with stainless appliances, regal cabinetry c"
"WOW REDUCED OVER $50,000.00!THE VIEWS ARE STUNNING of CAMELBACK, SUNSETS, CITY LIGHTS & MCDOWELL MOUNTAINS. Perched above the 12th Fairway for privacy. REMODELED IN 2011 WITH RICH HARD WOOD FLOORS THROUGHOUT. Light, Bright Open Floor Plan. Perfect Home Away From Home or for Year Around Living. Kitchen has been remodeled with gas cooktop & updated appliances. All Bathrooms are newer. Bedroom # 4 is now an office with built-in desk unit. Outdoor entertaining is a Must with outdoor kitchen. Upper "
"Fantastic opportunity in Ancala on a golf course lot that offers pristine mountain views from your private pool and patio! Luxurious living with a gourmet kitchen with a seamless glass bay window and walls of windows letting the views in. Top of the line kitchen cabinets with gorgeous granite countertops. The oversize master suite offers his and hers closets, custom cabinets with his and her sinks and a separate tub and shower layout. It's total size is 49'X15'. Backyard offers privacy and you"
"130 K PRICE REDUCTION! New flooring installed throughout 3/2019. 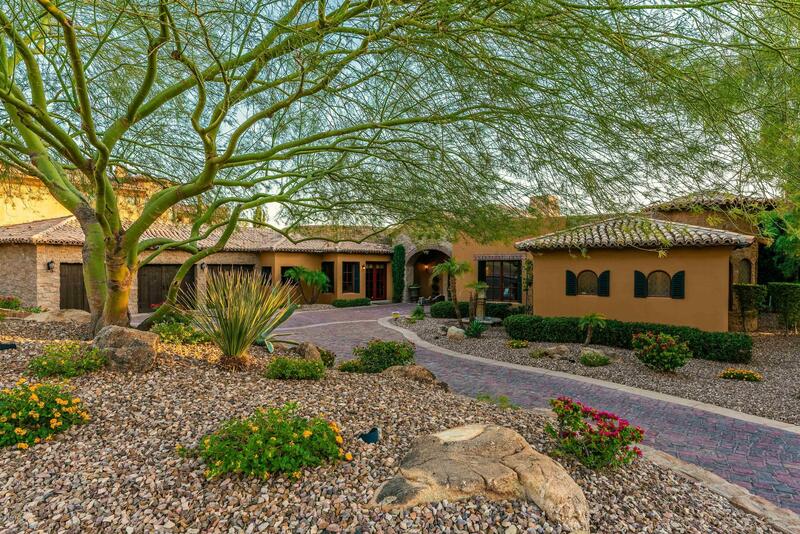 This rare double fairway premium golf course view home has it all! 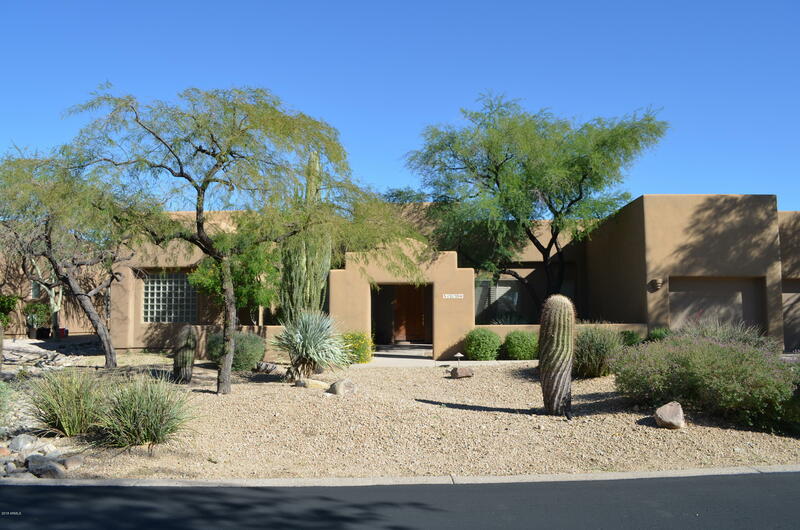 Breathtaking views of Camelback Mountain, sunsets, city lights, sea of green grass and lake views! Beautiful kitchen opens to family room, and breakfast area which all exit to outdoor entertaining featuring a built-in BBQ, heated pool & spa with privacy and amazing views. Large master suite with two bathroom, two additional bedrooms and two bathrooms, office plus de"
"Luxurious living located in the prestigious community of Ancala. When you arrive, you are greeted by gorgeous travertine floors , a freshly painted interior and newly remodeled gourmet kitchen and entertainment center in the family room. 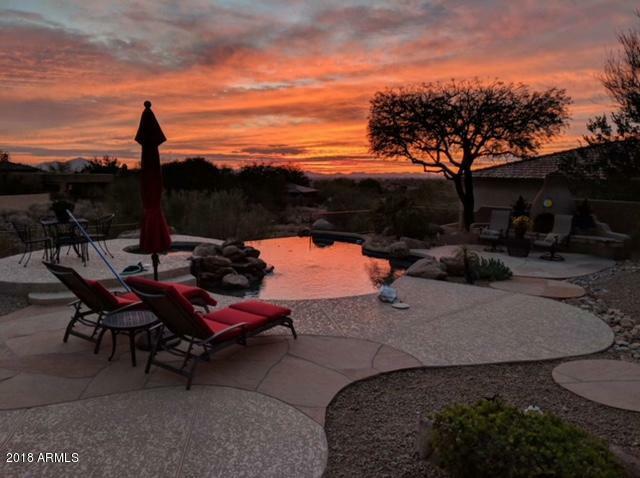 As you step into the backyard, you see stunning panoramic mountain views, a sparking pool, BBQ, beehive gas fireplace and a roof top viewing deck for the amazing sunsets & sunrises that Arizona has to offer! Just minutes from the Mayo Clinic, Ancala Country Club"